Zoutelande beach is situated in Zoutelande, right between Westkapelle and Dishoek. A small village, Zoutelande has less than 2,000 inhabitants and is a tourist-centric area. 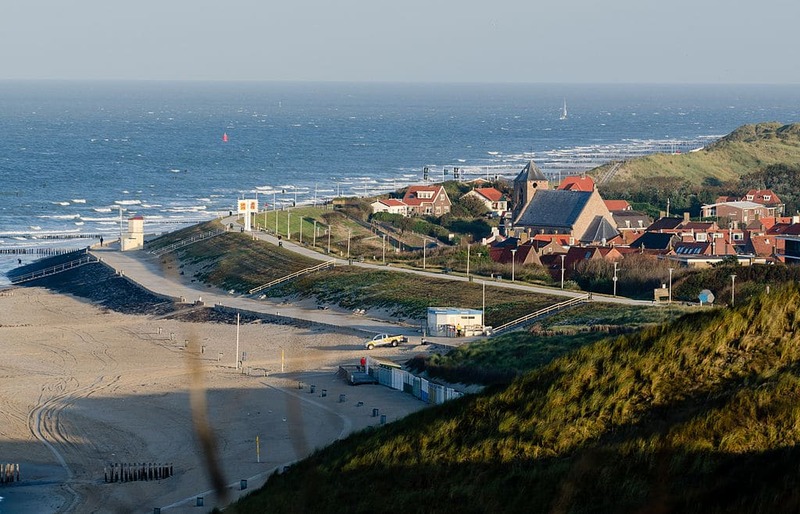 The beaches, unlike those in other parts of the Netherlands, face south and are considered one of the most beautiful coasts in all of the Netherlands. Zoutelande Beach wins several awards for its pristine beach and waters. A beautiful turquoise beach with white sand, this beach has been awarded the Blue Flag award for 7 years straight. This award is given to beaches that are exceptionally clean and the waters are pristine and free of pollution. The town itself was donned the cleanest beach in the entire country in 2003 and 2004. When visiting Zoutelande, every tourist recognizes the immense upkeep that the locals pride themselves with. The beach is scattered with beautiful hotels all along the coast. These hotels offer all of the comforts of home and have beautiful balconies that overlook Zoutelande beach. Bed and breakfasts are also available as well as beach cabins. The beach itself has restrooms and public showers so that anyone that visits the beach will be able to clean off after their visit. Parking is in abundance and many surrounding areas offer free parking and easy access to the beach itself. Rent beach-chairs, parasols or even umbrellas right on the beach to make your stay even more enjoyable. There are also lifeguards on duty to ensure that everyone has a safe time while in the water. Restaurants and cafes can be found right near the beach and have everything from cold drinks to delicious local cuisine. The beach is pet-friendly with dogs freely running most of the year. From May 1 – October 1st, guests must have their dog on a leash between the houses of 9am and 7pm. Beyond these hours, it is allowed to let your dog run freely on the beach to enjoy themselves. Zoutelande Beach is the perfect getaway that has a little bit of something for everyone. With picturesque views and friendly people, this is the ideal location to spend a romantic weekend.